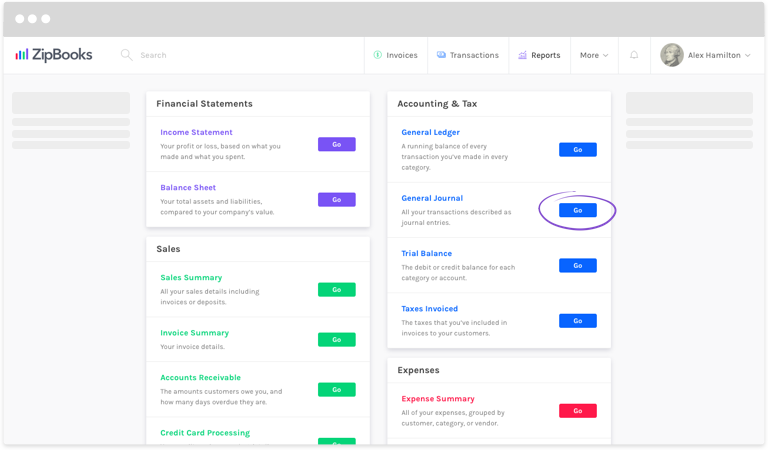 If you ever need to save or print out a list of your transactions, ZipBooks makes it easy! 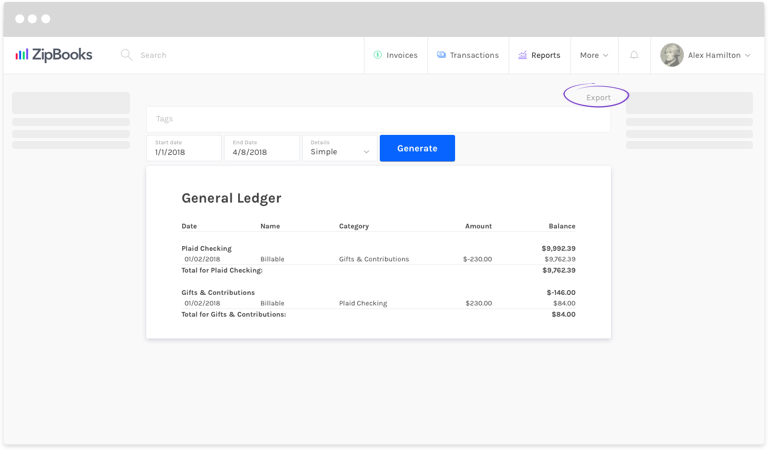 Filter your list of transactions to include only what you need by using the tools at the top of the list. Add a Start and End Date, include any Tags that apply, and decide if you want a Simple or Detailed report. To save a copy of the report, click Export in the top right corner, above the Tags field. The list of transactions you’ve created will be automatically downloaded as a CSV file–simple! You can also export to CSV from the Transactions page. In the top right of your list, hover over the pagination number. For example, where it says “1-100 of 532,” click on 532 and a complete record of your transactions will export automatically.